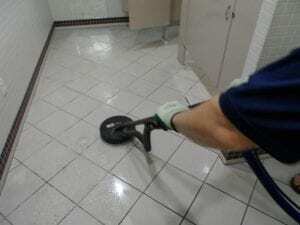 Cleaning a grouted tile floor is virtually impossible without the right tools and chemicals. 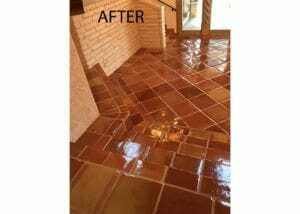 Years ago the best equipment that was available to clean ceramic tile was a swing buffer equipped with a nilogrit brush. 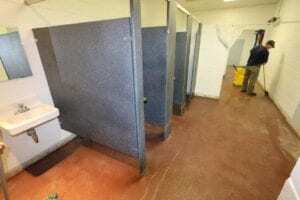 The results were marginal to unsatisfactory at best. 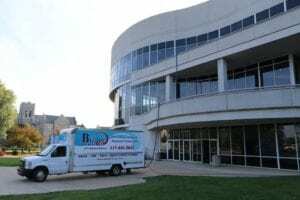 Today, using a truck-mounted extraction unit is the only way to successfully clean ceramic tile. This equipment allows us to pressure wash tile at 1,200 psi in a spinning motion with 230 degrees of heat and to pick up the dirty water and send it back to the truck at the same time. The end result is nothing short of “wow”. 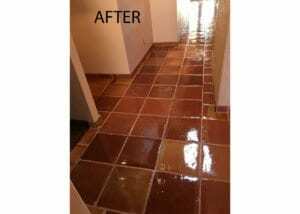 Equally important in cleaning ceramic tile is the understanding of the chemistry of cleaning agents and knowing how those agents react to different types of soil on the tile. 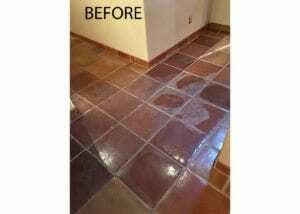 Extremely soiled tile can often be restored by either using a very strong acid– which removes the very top layer of grout on a tile floor– or a very strong alkaline. Both of these restoration chemicals must be neutralized when the floor is clean. 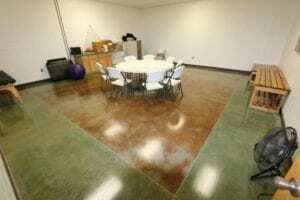 With today’s modern chemical packages and truck-mounted equipment, restoring and keeping a grouted floor looking like new is more than possible.